The Engineering Design 1 students completed their first project: to design and build a truss bridge that could span an 18" gap and hold as heavy a load as possible before collapsing. 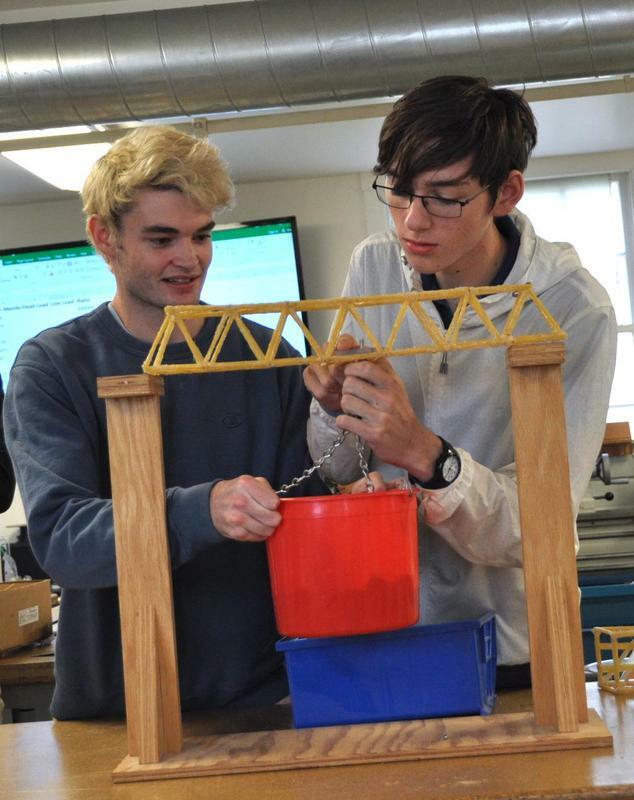 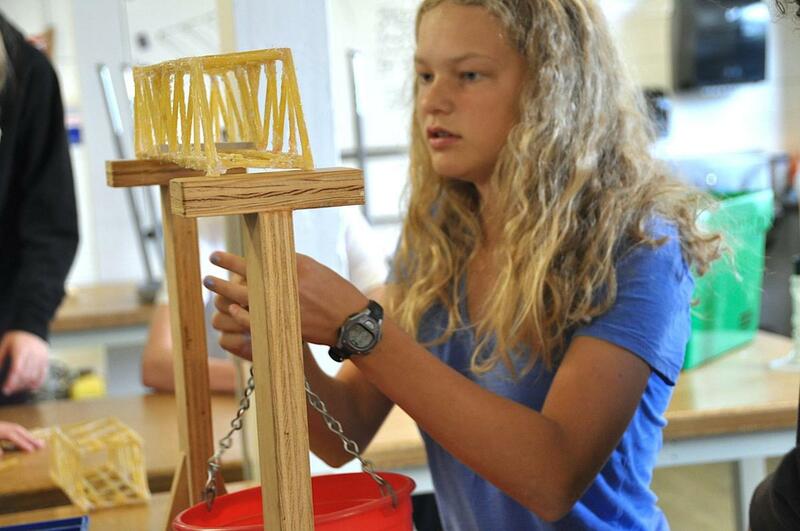 Prior to this semester, the strongest bridge students had built held 54.4 times its own weight, and that record was held by Justin (’20) and Reid (’19). This year, we had three teams exceed 60 times their own weight for the first time in the project's history. 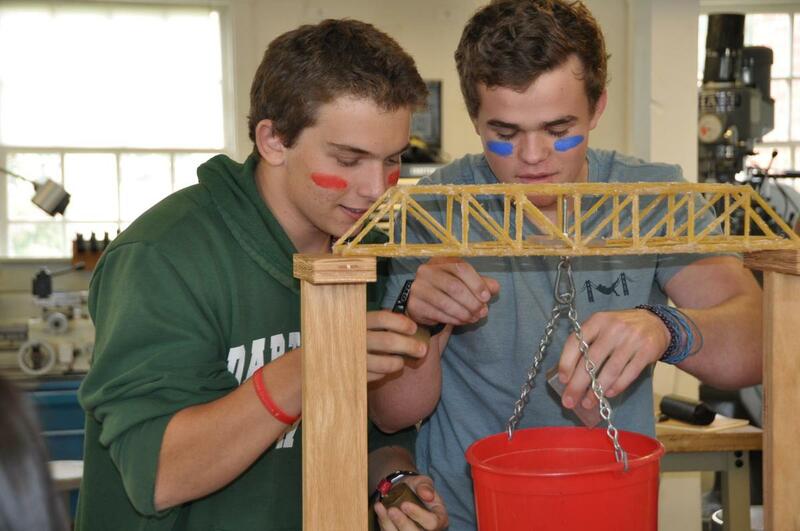 Jake (’19), Sebastian (’21) and Dash (’19) built a bridge that held 62.7 times its own weight, Adam (’19), Kian (’19) and Ingrid’s (’21) bridge held 64.1 times its own weight, and for the new school record, Jamie (’19) and Michael’s (’19) bridge design held 64.8 times its weight!